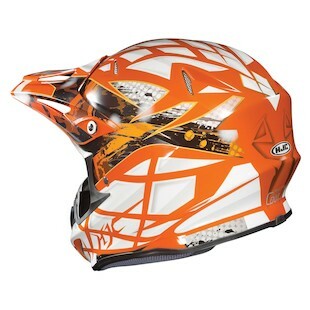 The HJC RPHA X helmet is a totally new line that bridges the gap between HJC's current helmets and other high end helmets currently on the market. 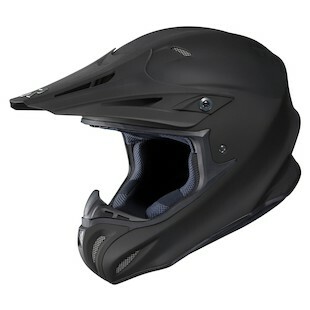 With RPHA, Revolutionary Performance Helmet Advantage, they've designed a shell made of carbon fiber, fiberglass epoxy, aramid epoxy, and organic fibers that's incredibly lightweight and strong. Features include full front to back airflow with lightweight, "Cool4Ever" moisture wicking, antibacterial liner, and wide eyeport design for maximum lateral visibility. This helmet is available in black, matte black, white and 3 graphic colorways. The HJC RPHA X Tempest helmet is available in black/white/silver, black/green/silver, black/white/silver and orange/white/silver. 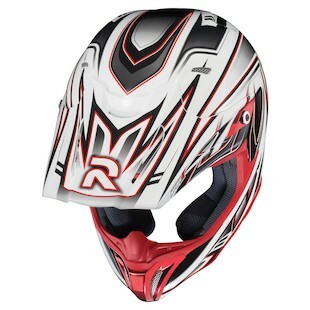 The HJC RPHA X Airaid helmet comes in a striking white/silver/red combination. 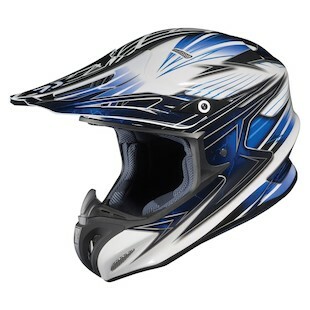 The HJC RPHA X Factor helmet is available in white/black/blue, white/black/silver and white/black/red. Don't miss the upcoming video reviews coming as soon as these bad boys arrive.